Ahad Opus in Sarjapur Road, Bangalore East by Ahad Builders is a residential project.  The size of the Apartment ranges in between 966.0 sq.ft. and 1658.0 sq.ft. Ahad Opus price ranges from 55.05 Lacs to 94.50 Lacs. Ahad Opus offers facilities such as Gymnasium and Lift. 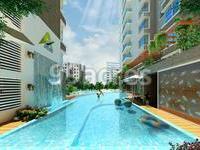 It also has amenities like Badminton court, Basketball court and Swimming pool. This is a RERA registered project with registration number PRM/KA/RERA/1251/446/PR/181103/002117. It is a new launch project with possession offered in Aug, 2021. The project is spread over a total area of 2.5 acres of land. Ahad Opus has a total of 3 towers. The construction is of 17 floors. An accommodation of 232 units has been provided. Ahad Opus brochure is also available for easy reference. Where is Ahad Opus located? Sarjapur Road, a prime residential locality for house seekers in Bangalore East. What is the area of apartments in Ahad Opus? The area of apartments offered in the project ranges from 965.0 sqft to 1657.0 sqft. What is the area of 2 bhk in Ahad Opus? The size of a 2BHK unit in the project ranges from 965.0 sqft to 1596.0 sqft. What is the area of 3 bhk in Ahad Opus? Three-room units (3BHK) in the project are available in an area of 1307.0 sqft to 1657.0 sqft. What is total size of Ahad Opus?The project is built over an area of 2.5 Acres. What is the price of 2 bhk in Ahad Opus? 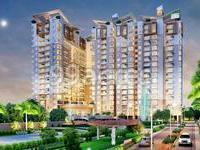 The project offers 2 BHK units within Rs. 6128254.8 to Rs. 10132203.6. External: 8inches Cellular Concrete Block. Entrance Engineered Wood Frame with designer laminated shutter along with SS handle, hinges, tower bolt, magic eye and safety lock etc. UPVC, SWR Grade types A and B Pipes. Ahad Builders is an eminent name in the real estate industry. Led by the principles of innovation, robust engineering, architectural excellence, business ethics, highest standards of quality and timely delivery, the company has delivered several successful projects, since its inception in 1975. It believes in quality, transparency, integrity and responsibility. The company keeps up to date with the latest technology that ensures quality development.